Once you’ve decided to scale down, you’ll find there are some incidental benefits that come with small batch brewing. If you’re used to brewing outside, you’ll be able to move your brewing operations to your kitchen, and perhaps escape inclement weather. And, as I mentioned above, you may be able to crank out a batch a little more quickly due to heating and cooling smaller volumes. (If you move inside, your heating times may be a wash as your propane burner almost certainly kicks out more BTUs than your kitchen stove.) Along with potentially quicker heating and cooling times comes less fuel use for heating and less water use for cooling. In addition, if you’re using the same heat source, scaling down will allow you to boil the wort more vigorously. If you’re an extract brewer used to boiling a thick wort, and diluting it to working strength in your fermenter, you will now likely be able to perform full-wort boils. In this range of volumes, you may not have to make a yeast starter if you use liquid yeast. According to the Mr. Malty calculator, you can make 3.0 gallons (11 L) of beer at an OG of 1.048 or below without making a yeast starter. The no starter OG jumps to 1.058 if you’re only making 2.5 gallons (9.5 L) of beer and 1.075 of you’re only making 2.0 gallons (7.6 L). These recommendations are based on the optimal rates, and you could pitch to somewhat higher OG without a starter if you were willing to put up with slightly longer lag times. I would feel fairly comfortable pitching a single tube or smack pack to 3 gallons (11 L) at 1.064, 2.5 gallons (9.5 L) at 1.078 or 2 gallons (7.6 L) at 1.099. This assumes the yeast was fresh. (Also, you’ll need to be confident of your cleaning and sanitation.) Seriously underpitching can lead to unacceptably long lag times, sluggish fermentations, higher levels of fermentation by products (esp. esters) and higher than expected final gravities. So make a yeast starter if you’re outside of these ranges. The cell counts in 11 g sachets of dried yeast are sufficient to brew all but the biggest beers (over OG 1.100 for 3 gallons/11 L) at these volumes. Given the proportionally larger surface-to-volume ratio in a smaller fermenter, simple fermenter cooling methods, such as the wet T-shirt method, are more effective. Scaling down does have it’s drawbacks, though. Besides yielding less beer, your mash is going to lose heat faster than a larger mash. Also, the larger surface-to-volume ratio of a smaller fermenter is a double-edged sword — it’s easier to cool, but it’s also more prone to temperature swings when the ambient temperature changes. Finally, you may need to get a scale that measures small amounts with more precision. If you’ve got a 5.0-gallon (19-L) brewery, you can use it to make smaller batches when the situation calls for it. However, if you’re primarily going to brew at this smaller scale, you’ll probably want to assemble a brewery that’s optimized for it. A 2-gallon (8-L) cooler will hold 4 lbs. (1.8 kg) of grain and yield roughly 2.5 gallons (9.5 L) of wort at 1.043, assuming 65% extract efficiency. A 3-galllon (11-L) cooler will hold 6 lbs. (2.7 kg) of grain and yield almost 4 gallons (15 L) of wort at 1.043. Relatively inexpensive stainless steel pots can be found at any size in this range. When picking a brewpot size, be sure to allow for an extra 20% in volume to handle the initial foaming that occurs when the wort comes to a boil. At this scale, you don’t need a wort chiller. A small immersion chiller — for example, one suitable for a 5.0-gallon (19-L) brewery — is handy as it will quickly chill your wort. However, can also chill your wort by placing the brewpot in a sink full of cold water. You’ll need to change the water several times — and adding ice once the wort has cooled considerably will speed the process. And, swirling the wort when you change the water, or stirring it with a sanitized spoon, also makes the chilling go faster. Keep a lid on the pot as it cools in your sink to prevent airborne contaminants from falling into your wort. Using a wort chiller is faster and better, but not strictly required. 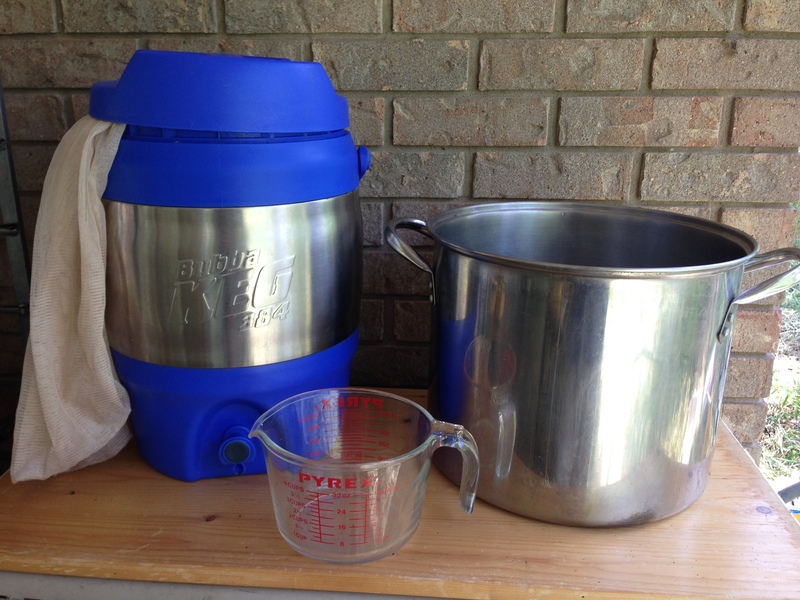 You can ferment a 3.0-gallon (11-L) batch in a 5.0-gallon (19-L) glass or plastic carboy. And if you want, you could use a 3.0-gallon (11-L) carboy for a secondary fermenter. For the smaller sizes, you could use a 3.0-gallon (11-L) carboy for your primary fermenter. 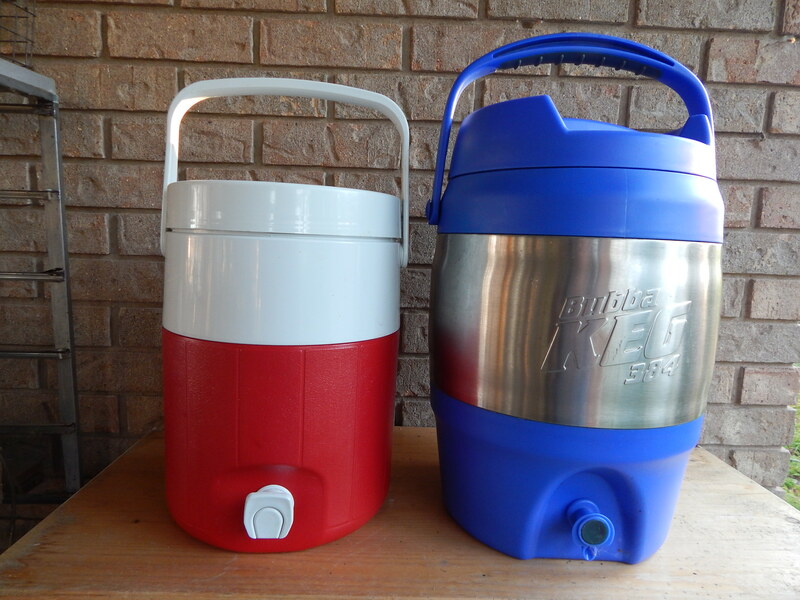 Three-gallon (11-L) Corny kegs exist, but they are hard to find and somewhat expensive. (Other small scale Corny kegs exist, but they are even more rare.) Of course, at this smaller batch size, bottling is less of hassle. And, other small kegging options exist. 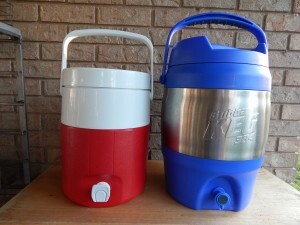 These include the stainless steel 5 L (1.3 gallon) mini kegs and the 6 L (1.6 gallon) Tap-a-Draft bottles. 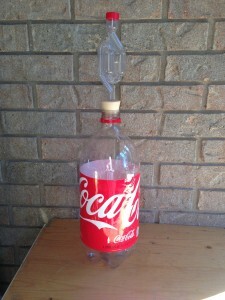 A 3-L PET soda bottle. A #6.5 stopper — the same size that fits most carboys — fit the bottle. Could you brew even smaller batches? Sure. Plenty of brewers make 1.0-gallon (3.8-L) test batches for experimental beers before scaling up. But at some point, the return on your investment of time is not going to be worth your while. The process of brewing can be made to work at almost any scale; you just need to pick the right volume to fit your space, your brewing ambitions and your drinking habits. I am a big fan of smaller batch brewing. After having countless propane-fueled brew days called off due to bad weather I started brewing with an electric turkey fryer using BIAB. The electric fryer has trouble getting a good boil for 5 gallon batches but works well with smaller volumes. For me the the issue has been brew smaller batches inside the garage or not brew at all. Best decision I ever made about brewing. My usual batches run from 2.5g to 4g. Taking less time and dealing with smaller volumes indoors lets me brew brew without as much advanced planning and I get in about 15-20 brews a year. I have 2.5 g Saison fermenting right now. Decided to brew it at noon last Saturday and had it in the fermenter by 430. Vive la small batch!